Natalie Tong (唐詩詠) became TV Queen in 2017 and is filming Big White Duel (白色強人) and The Solvers (解決師) drama this year. 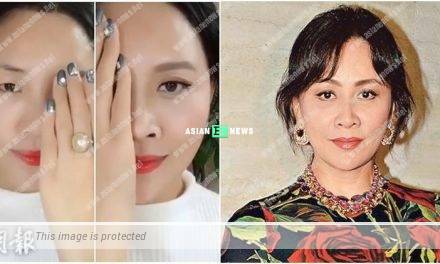 Besides a smooth career, she is rumoured to have 2 rich suitors, Samuel Chan (陳思銘) and Elaine Yiu’s (姚子羚) old love, Cheng Tsz Bong (鄭子邦) as well. 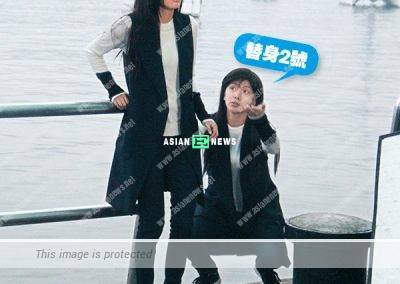 A couple of days ago, Natalie had a location shooting for new series, The Solvers with Crystal Fung (馮盈盈) and Jim Ping Hei (詹秉熙) at Sai Kung Pier. Natalie played a music teacher and the daughter of a black triad chief. The scene on that day illustrated she bumped into Crystal who acted as a cop and was chased after by Ping Hei playing a killer. Since Natalie is TV Queen, it is normal that she has special privileges and 2 stuntmen are arranged for her. Despite shooting a simple scene at the car park, a stuntman who wore the same outfit was present and it was amusing to see both had exact postures and actions. Finally, Natalie was forced to jump into the sea in order to escape from Ping Hei. Line Walker: The Prelude drama: Nathan Ngai forces his kiss on Louisa Mak?